Since 1987, Bio Med Sciences, Inc., the makers of Oleeva® products, has delivered leading technology to the burn treatment, plastic surgery and aesthetic skin-care markets. Bio Med Sciences’ products are available in more than 50 countries around the globe. Bio Med Sciences has the skill, experience and team to assist you. Contact us today! Get directions to the Bio Med Sciences main office building in Allentown, PA.
View a list of hotels near the Bio Med Sciences main office in Pennsylvania. Our Silon® technology blends the best properties of silicone and Teflon®, enabling us to develop new and innovative products for wound care, scar management and skin renewing technologies. Bio Med Sciences’ scar management, woundcare and renewing technologies have been the subject of, or favorably mentioned in a variety of medical journals and trade publications. 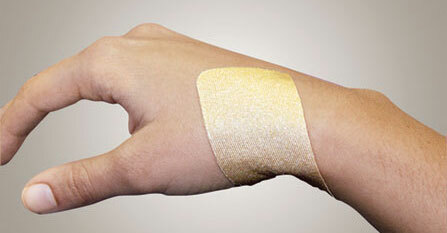 Looking for even more information on advanced woundcare and scar management? Find a collection of helpful information and resources here. So far c96338x2 has created 28 blog entries. Suprathel® is now exclusively distributed in the U.S.A. by Bio Med Sciences, Inc.
Bio Med Sciences Announces Issuance of New US Patent!